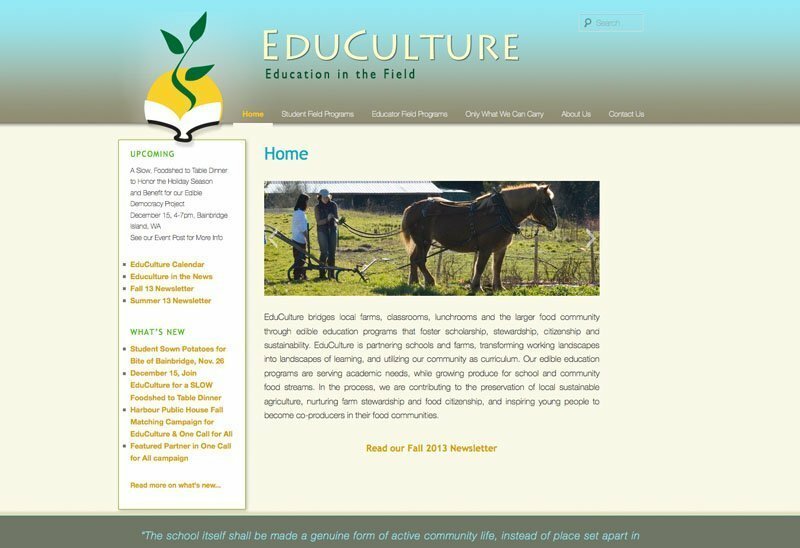 EduCulture provides farmers and teachers the organizational, programmatic, and curricular support to cultivate farm-school relationships. 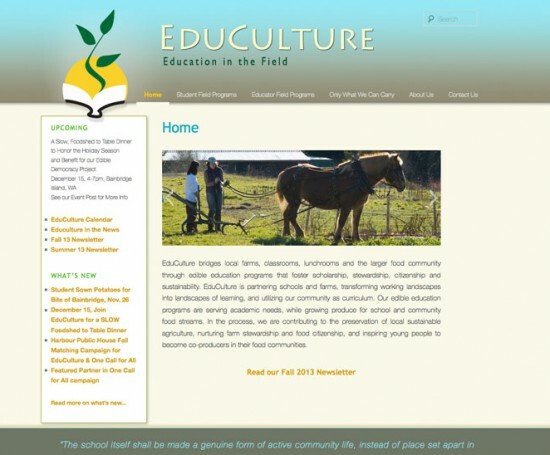 They pair schools with neighboring farmland for “edible” education programs. 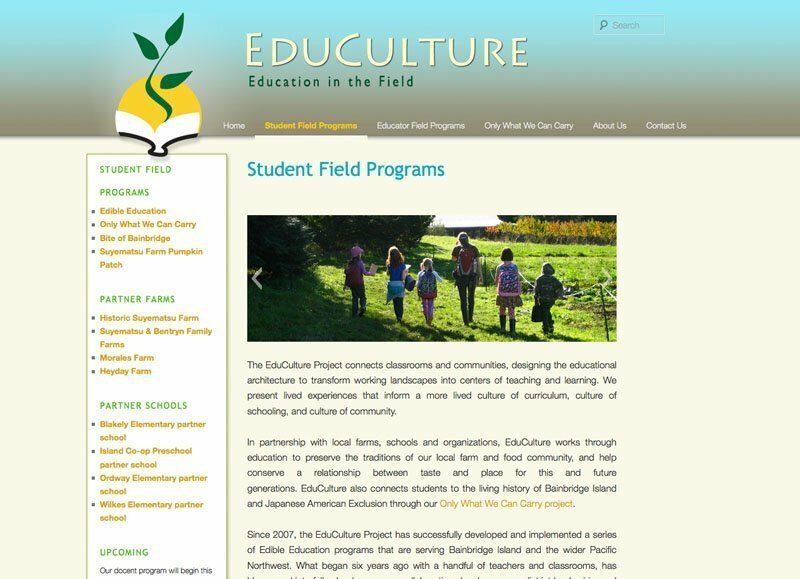 Devise a look for this new branch of the existing organization, and build a site that is flexible and easily maintained by organization members. 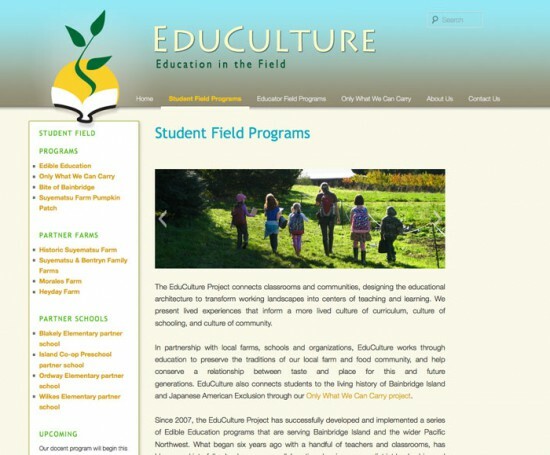 I designed a logo, gave them a tagline, and chose colors that would convey both farm and education simultaneously. A layout was devised that would be flexible, easily to maintain, and serve them for a number of years.